Not freestanding. Requires Pedestals sold and shipped separately—ORDER BOTH. Traditionally crafted and designed for today's workstyle. Selected wood veneers with triple-coat lacquer finish. Pilaster corner molding and bottom skirt detail. Integral keyboard drawer. Wire management grommet. Premium-grade fittings and hardware. Not freestanding. 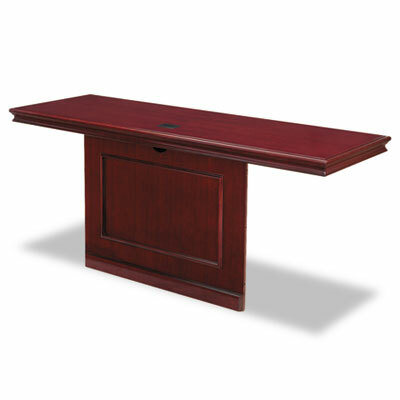 Requires Pedestals sold and shipped separately -- ORDER BOTH. Disclaimer Statement(s) Not freestanding. Requires Pedestals sold and shipped separately—ORDER BOTH.